Here's some exciting literacy news! Literacy Lava 9 is due to be published on June 1. 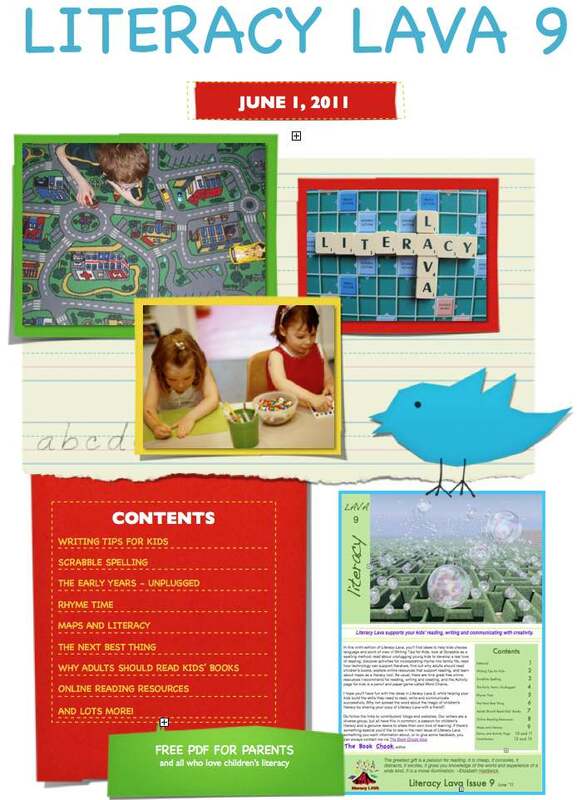 Earlier editions of this free ezine in pdf format - for parents, teachers and all who love children's literacy - are still available at my website. Literacy Lava 9 will bring you articles by passionate literacy advocates Jen Robinson of Jen's Robinson's Book Page, Joyce Grant of Getting Kids Reading, Jeanne Grant-Webb of A Peaceful Day, Jackie Higgins of Ready.Set.Read, Dawn Morris of Moms Inspire Learning, Rebecca Newman - editor of Alphabet Soup, Stacey Loscalzo, Dee White, and ... The Book Chook! Look for Literacy Lava 9 on June 1, and please help spread the word about this wonderful free literacy resource by sharing it with your friends.